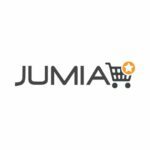 Finally, the Guaranty Trust Bank has commenced the first 2019 Job recruitment, suitable and qualified Nigerians can carefully go through the GTBank recruitment process on this page, in order to see the full requirements and How to Apply for a Job at GTBank Nigeria. GTBank is a financial institution that has made good name for herself in Nigeria and beyond, the Bank has always provided the masses with excellent banking services. Secondly, the Guaranty Trust Bank is also known for being one of the Banks that provide customers with reliable internet banking services. Any Nigerian that is about to Apply for this latest GTBank recruitment should be prepaid to do a world-class security Job at the Bank. The Person will work with other security Personnels at the Guaranty Trust Bank, so they can excellently process application security/penetration tests on the Bank’s internal/external web. 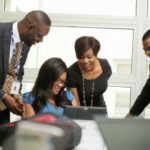 First of all, the GTBank careers team wants people that have gotten Bachelor’s or Master’s degree in Computer Science/Information or Security/Information Technology to Apply for this Job. Those that possess essential work experience from any reputable IT company, can also Apply. 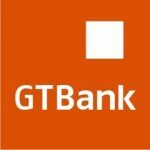 Eligible Applicants that have been wanting to Apply for GTBank Graduate Trainee program 2019, can also Apply for this Job, pending the release of the Bank’s application form for Graduate Trainee programme. Nevertheless, Candidates should possess at least one of these certifications: CISSP, GWAPT, CISM, CEH, OSCP or CCIE Security. Those that acquired more than one of these certifications are normally welcomed to Apply for Jobs in GTB. This career opportunity at GTBank is only for Nigerians that have National Youth Service Corps (NYSC) discharge certificate. Meanwhile, the Job vacancy are for Graduates that have at least 1-3 years essential work experience. Also know that Jobs in GTB are always for Individuals that have the ability to learn new things and deliver Jobs that are done in a creative way. Qualified Nigerians, that have understood the Description and as well, possess the requirements for this vacant position, should visit the GTBank 2019 careers portal here: recruit.zohopublic.com, to see more information about this Job and Apply online. Apply on or Before: 13th February, 2019.